Life can be utterly and completely terrifying, especially when you feel isolated, abandoned, forsaken, alone, grief-stricken, disenfranchised, discarded, dismissed and or misunderstood or unloved. Knowledge, wisdom, and understanding is a great power over your issues, circumstances and situation. If you’re confused as to why you feel or behave the way you do, you’re not experiencing anything new to God. He can deliver you from absolutely anything but in order for Him to do so, you must be willing to allow Him to do just that. One in four people have an anxiety disorder. One in ten people have a form of a phobia. One in 50 people have OCD. Anxiety & depression often exist together. Anxiety may cause significant changes in how your body functions. Anxiety does not discriminate. Both young and the elderly experience anxiety. Men experience anxiety differently than women. God’s Word, the Bible, provides direction for dealing with anxiety. There is hope and there is help for those suffering from anxiety. If you checked four or more of these symptoms, you may have a problem with anxiety. Take a vacation, you’ll feel better. Just have more faith or pray more. Your problems aren’t so bad. You should be able to cope. 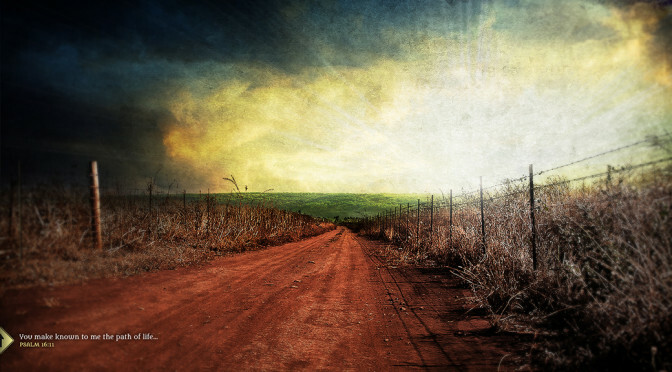 Is God punishing you for some sin? Learn how to manage your anxiety. Learn relaxation techniques to help control your anxiety. Become aware of the thought patterns that play a role in your anxiety. talk more positive and realistic. Gain a closer relationship with God. Understand that you may need to take medication for a while. See a doctor and get a complete physical examination. Make sure that these symptoms are not a potentially serious medical condition. Find a professional counselor you trust. Talk to one of our Pastoral Counselors. Improve your health with good nutrition, proper rest and regular exercise. Learn to enjoy life. Relax! Learn to say “No” to extra pressures. Set realistic goals. Be kind to yourself. Seek help from God, your church, prayer and the Bible. Anxiety is an emotional and physical response to a vague, uncontrollable, or uncertain event. You may have the vague feeling that “something bad is going to happen.” Worry concentrates more on specific events in our life. The Bible says in Philippians 4:6-7, Do not be anxious about anything but let the peace of God guard your hearts and your minds in Christ Jesus. 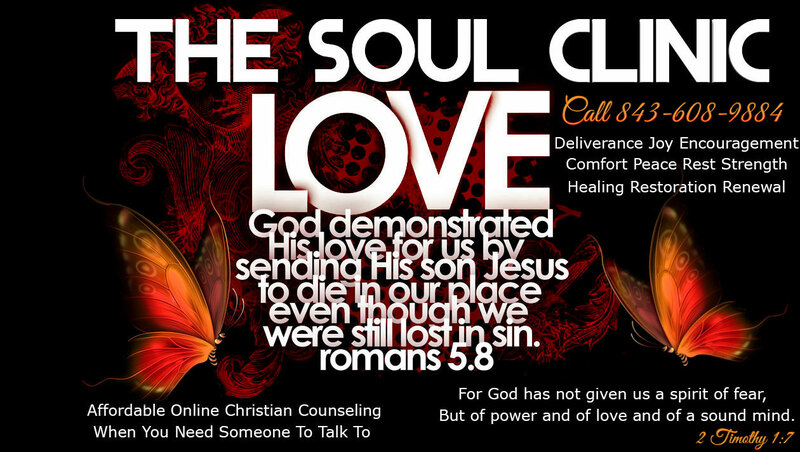 Soul Clinic Pastoral Counseling works to help people learn how to do just that and find the peace you need in your life. Answer the questions below to determine if you are experiencing depression. If you answer True to at least four (4) of the following statements, you may be suffering from depression. If you answer True to the majority of the following statements, you are certainly experiencing depression and you need to seek professional help. See a doctor or psychotherapist and one of our pastoral counselors before the depression gets worse. T or F: —I feel sad and blue most of the time. T or F: —I feel like crying more than I did six months ago. T or F: —I feel hopeless and helpless most of the time. T or F: —I have no motivation. T or F: —I’m not interested in things I used to enjoy. T or F: —Recently I have wondered if life is worth living. T or F: —I am not sleeping well, or I want to sleep all of the time. T or F: —I have lost my appetite. T or F: —I am easily irritated. T or F: —I am more anxious about things than I used to be. T or F: —My energy level has dropped recently. T or F: —I dread the morning. It is hard to get up. T or F: — have been thinking about myself a lot recently. T or F: —The face looking back at me in the mirror is sad. T or F: —My self-concept needs improving. T or F: —I worry about the past, the present and the future. T or F: —I’ve had more headaches, upset stomach, constipation, rapid heartbeat, etc. in the last six months than usual. T or F: —I think that people have noticed that I am not working as well at my job, or enjoying life like I used to. Great men in the Bible, such as David (in many of his Psalms), Elijah (I Kings 19), Moses (Exodus 18), and Jonah (Jonah 4) experienced depression. In each of these situations, God sent someone to help the suffering individual but He did not condemn him. Psalm 23:18 says, The Lord is close to the brokenhearted, and saves those who are crushed in spirit. Whatever the cause, God cares about the person experiencing depression. One in four women and one in ten men will develop depression sometime in their life. Feelings of sadness for over two weeks. Not wanting to spend time with friends and family. Changes in sleep and appetite patterns. We often feel uncomfortable around a depressed person because we don’t know what to say or do for him. This may cause us to make some serious mistakes when we try to help them. So what can you do to help? Let him be honest about his feelings. feelings. Don’t say, You shouldn’t feel like that. Be there for him. A depressed person may have lost someone important in his life. Let him know you care and will be there for him. Be aware. A depressed person often tries to avoid dealing with his feelings or to pretend he is fine. If he fails to get help, he will only become more depressed. Help him get help. If you would just do… . You have a lot going for you. You shouldn’t feel so bad. Three or more symptoms of depression. Response to your attempts to help. No family or friends there for support. The person turning to substance abuse. “Fear not, for I am with you; be not dismayed, for I am your God; I will strengthen you, I will help you, I will uphold you with my righteous right hand. For I, the Lord your God, hold your right hand; it is I who say to you, “Fear not, I am the one who helps you.” Isaiah 41:10 & 13. Major depression can greatly affect a person’s ability to function at home and/or at work and inhibit the enjoyment of life in any way. Some people may only experience occasional bouts of situational or circumstantial depression throughout their lives where others may suffer from depression several times in their lifetime while and some may live with major depressive disorder also known as clinical depression, the most serious form of depression which is a brain disorder characterized by feelings of severe sadness, misery and deep despair, typically also with feelings of inadequacy and guilt, often accompanied by lack of energy and disturbance of appetite and sleep. •Thoughts of and attempts at suicide. •Loss of interest in activities that were pleasurable in the past. •Unyielding anxiety, profound sorrow or feelings of emptiness. •Feelings of worthlessness, helplessness or guilt. •Feelings of hopelessness or gloom. Check back soon because this chapter will be both comprehensive and exciting.